Lin Guoguang has recently been recognized among the fifth set of national-level intangible cultural heritage representative inheritors by the Ministry of Culture and Tourism. The stone dog carvings of Leizhou Peninsula were listed in the Catalogue of National Traditional Crafts for Rejuvenation by the Ministry of Culture and Tourism and the Ministry of Industry and Information Technology. Guangdong Ocean University Cunjin College hosts an environmentally-friendly garment design contest recently, with all the clothes made from waste materials. The Zhanjiang delegation had an impressive presence at the 14th China (Shenzhen) International Cultural Industries Fair (ICIF) held in Shenzhen. The Southern School of Cantonese Opera Inheritance Center in Wuchuan was recently designated as an International Cultural Exchange Base for Overseas Chinese. 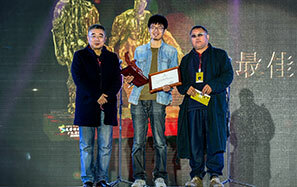 The 600-year-old Suixi-style lion dance was a highlight among the performances showcased at the closing ceremony of the fourth Silk Road International Film Festival.